Tanuj established and is the global head of ZS’ Operations Excellence Expertise Center and the Intelligent Process Automation (IPA) CoE. He works with clients and internal teams on driving process excellence and transformation projects, automation (including RPA and IPA) solutions and process excellence programs. In the last 17 years he has helped clients build healthier, sustainable, flexible and more profitable organizations. 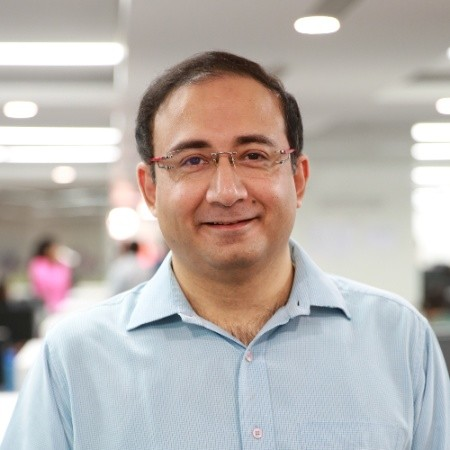 He has led client delivery, operations excellence and transformation engagements across a range of industries from Healthcare, Pharma to Banking, Financial Services and Insurance. Tanuj helps clients across the globe enhance their customer experience, improve their time to deal closure, reduce time to product launch, increase their payment accuracy and reduce overall costs. Before joining ZS, Tanuj held leadership roles with Genpact in Process Excellence and Operations. He led multiple transformation, Lean, Six Sigma and re-engineering projects for clients across the globe. His career started with IT project management and software development. Tanuj holds a PG Diploma in Management from T A Pai Management Institute, Manipal, and a Bachelor of Engineering in Electronics and Communication, from Mangalore University. He is a certified Lean Six Sigma Master Black Belt and a certified Lean Six Sigma Black Belt trainer.